Guys and gadgets seem to go together. This is particularly true for Dan Cordero of Charlotte, North Carolina who likes to repurpose vintage items into something practical for everyday. I think it would be fun to design a guy's office. If I had the chance, I'd add a light by Dan as they're just cool, like this vintage flashlight lamp or explosion proof cage, which make excellent desk lamps as well as great conversation pieces. Dan offers a dozen different glass pendants as well that are hard not to love. 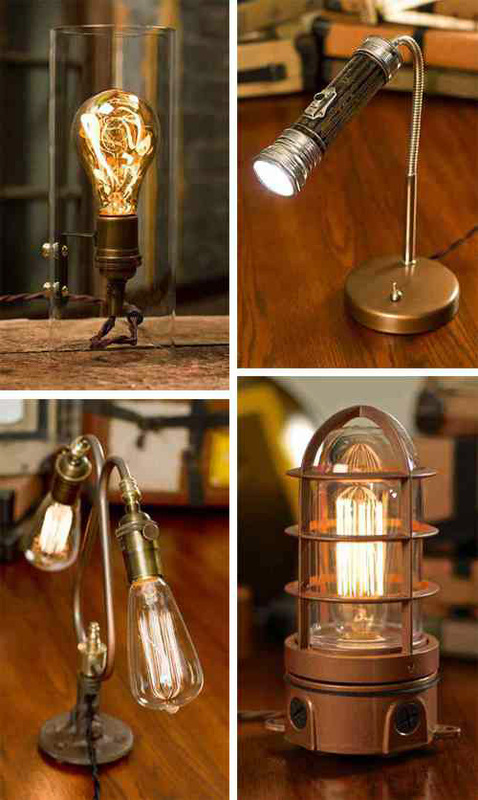 They're priced well - starting at $110, and each is meant to showcase the ever stylish edison bulb. See the entirety of Dan's lighting collection that includes all manner of gadgets and glass, here.